A document (sometimes referred to as a file) needs to be posted to a web page in order for a person to download it from your website. All documents must be UPLOADED to the Cascade server before they may be POSTED to a page for download. Upload a document means getting the document from your computer to your documents folder in Cascade. 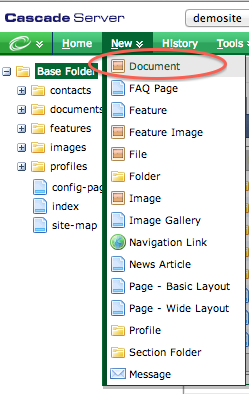 The Document wizard allows you to upload a file and add it to the documents folder in Cascade. 1. From the New menu select Document. 2. 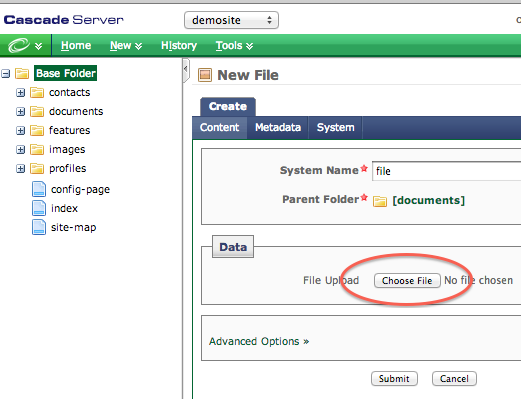 Upload your file by clicking the Choose File (or Browse) button and search for the document on your computer (much like browsing for sending an attachment in an email). 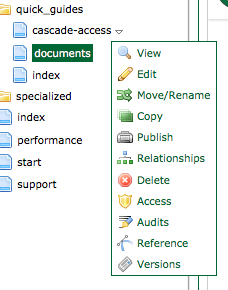 In order to post a document it needs to be in Cascade. If the document doesn't already exist in Cascade you'll need to upload it first. 3. Select the word (or words) you wish to convert to a hyperlink (you can add the content/text at this point if need be). Be sure to use words that make sense to your site visitors. Highlight the text with your mouse. 4. 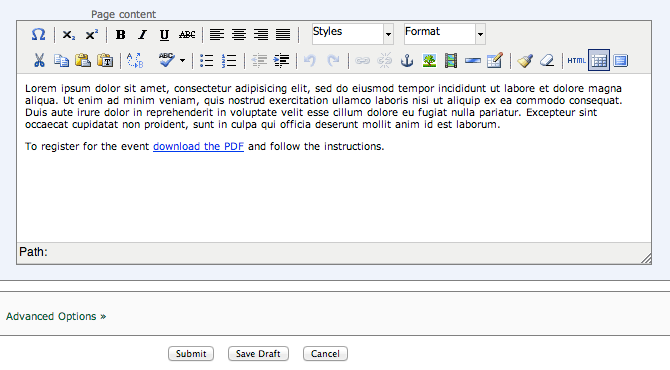 While the text is highlighted, click the Insert/edit link icon in the WYSIWYG toolbar. The document is now linked. You must publish both the page, and the document to Cascade. 3. Follow the onscreen prompts. You will want to re-publish the site to ensure the document has been deleted on the server as well. NOTE: If you are updating a document, delete the original document, then upload the new one (if it has the SAME filename as the deleted document, you don't have to create a new hyperlink to that file). 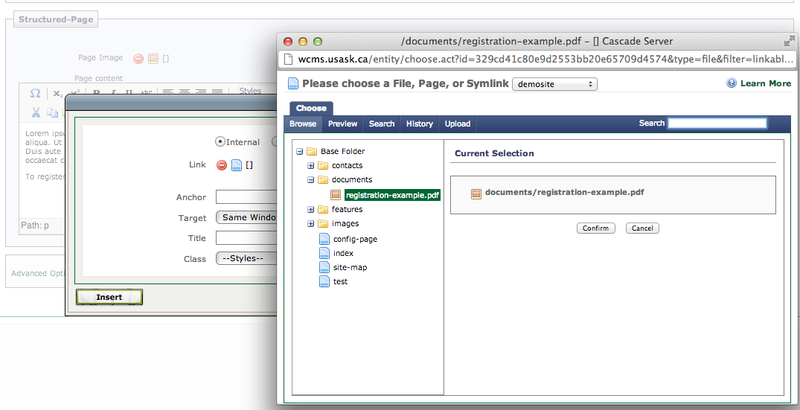 You may also move documents from one location to another using drag and drop , from the left side menu. Follow the onscreen prompts and be sure to re-publish the entire site when the move is complete. Who are your audiences and what do they want from your website? Learn how to create user personas that can guide your content decisions. 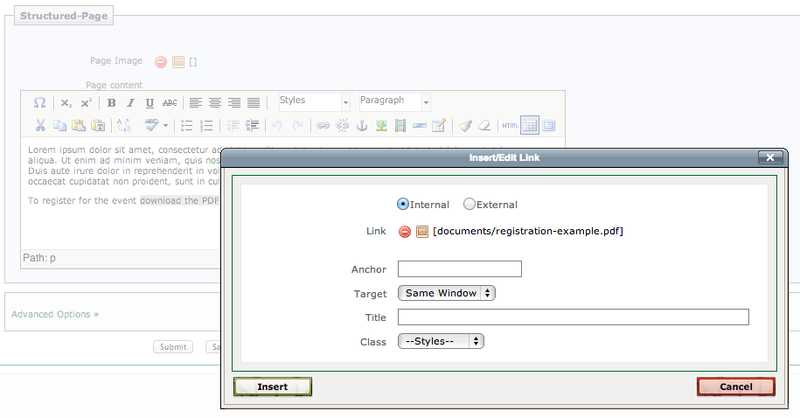 Cascade makes publishing easy. But what happens when we publish everything? Learn how to focus on your users' top tasks for a better user experience. How do people read online? What makes a good title? How long should paragraphs be? Learn from the experts at the UK government (yep, the UK government).